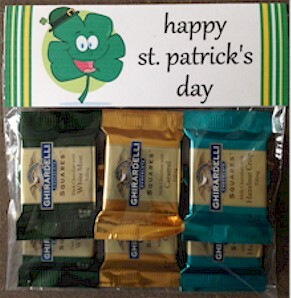 Our St. Patrick's Day goody bag toppers will print 2 per page. Just click on the link/picture that you'd like to print and it will open in a new page. Again, we suggest using white cardstock for more durability, but white printer paper would also be fine. *See examples of what our goody bag toppers look like with filled goody bags of treats.